In what used to be the western United States, the war-hungry Republic holds the extreme elite -- like June, a prodigy from one of the Republic's wealthiest families being groomed for a military career -- and the most downtrodden -- like Day, the country's most wanted criminal... who may not be as malicious as he seems. 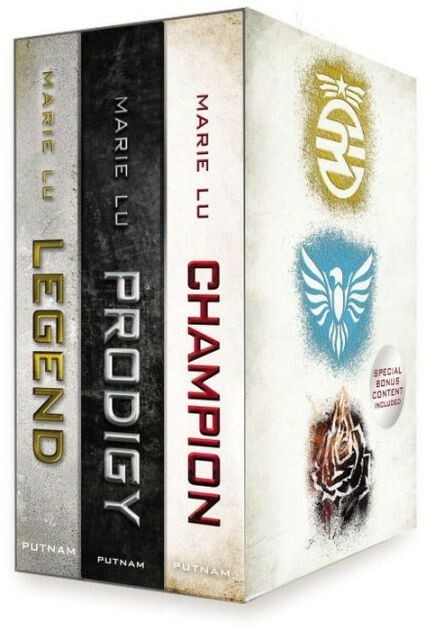 When June and Day's paths cross, they will learn secrets about themselves and their country and face difficult choices between rebellion or reconstruction... and family loyalty or love. 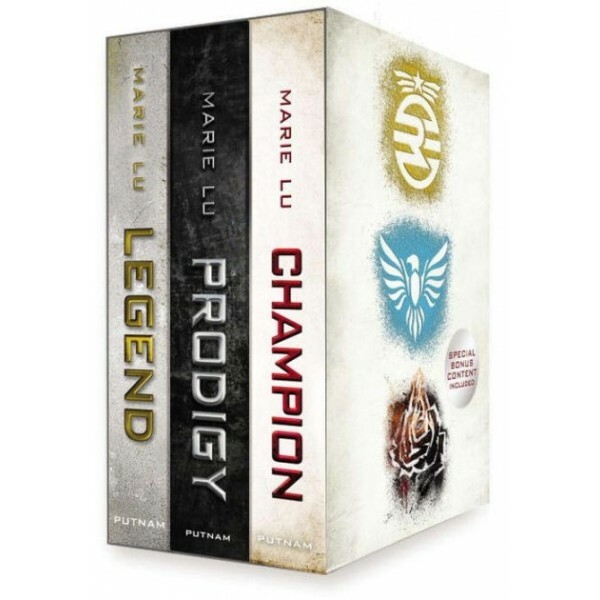 The complete collection of Marie Lu's bestselling Legend trilogy Legend, Prodigy, and Champion are included in this box set, along with Life Before Legend, a collection of original short stories offering a sneak peek at the lives of Day and June before they met.